Published on December 18, 2011 in General T&T, People's Partnership, PNM, Politics and UNC. 6 Comments Tags: Basdeo Panday, Kamla Persad-Bissessar, Politics, Raffique Shah, T&T Govt. YOU would think that two years after he suffered the most severe political flogging in local history, Basdeo Panday would have long ridden off into the sunset, hoisted his grandchildren on his lap and sat back in luxury, enjoying an ex-prime minister’s generous pension and perks. But that’s not Panday’s style. He’s back into active politics…or so he says. Published on December 4, 2011 in General T&T, Media and Politics. 7 Comments Tags: Basdeo Panday, Dr Eric Williams, Raffique Shah. IT occurred to me recently that I have been writing newspaper columns for 30 years. When I started writing opinion pieces back in 1981, I did not think of it as a career. I was 35 years young, already an ex-soldier who had become notorious during the mutiny of 1970. I was also an ex-MP who had fought fiercely against both Dr Eric Williams and Basdeo Panday, and paid the ultimate political price for having the nerve to cross two crosses that were too heavy to bear. 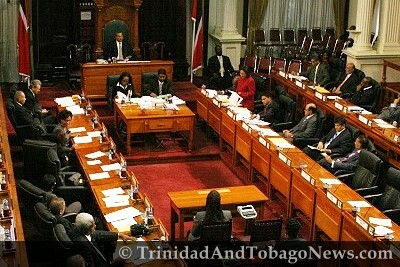 Published on May 22, 2011 in General T&T, Parliament, People's Partnership and Politics. 30 Comments Tags: Basdeo Panday, Patrick Manning, Politics, Raffique Shah, T&T Govt. THE suspension of ex-prime minister Patrick Manning from the House last week triggered a national debate that is curious, to say the least. I think the penalty imposed on the nation’s longest serving MP was somewhat harsh. But I also hold that Manning is a “harden fella”, not unlike another ex-prime minister, Basdeo Panday, who was also suspended three years ago, but who rushed to Manning’s defence—something I find quite amusing.